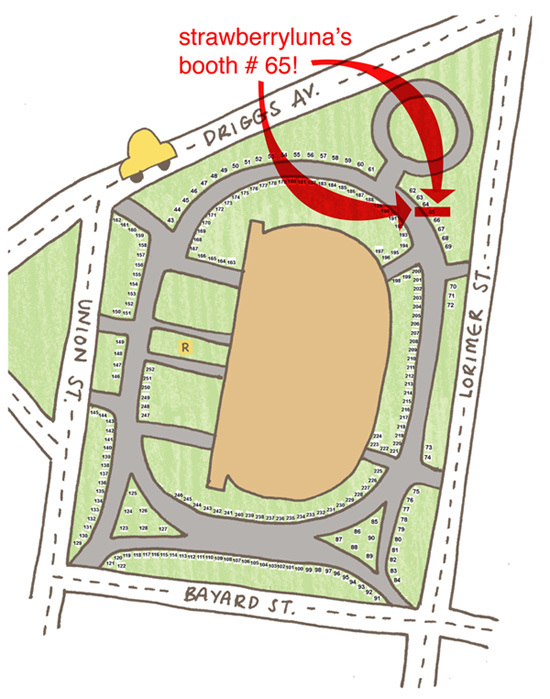 Renegade Craft Fair, Brooklyn – come see me June 5th & 6th! And now, I’m back baby! Renegade Craft Fair is one of the premiere independent DIY showcases of all things art, craft, and handmade. Renegade Craft Fairs are held in several cities across the US every year – including Brooklyn, Chicago, San Francisco, Los Angeles & Austin. The fair is known for being one of the first events of its kind, and for having the top-notch indie-craft artists and designers who travel from all over the map to participate. Renegade got its start in Chicago’s Wicker Park in the fall of 2003, and has spread like wildfire ever since. 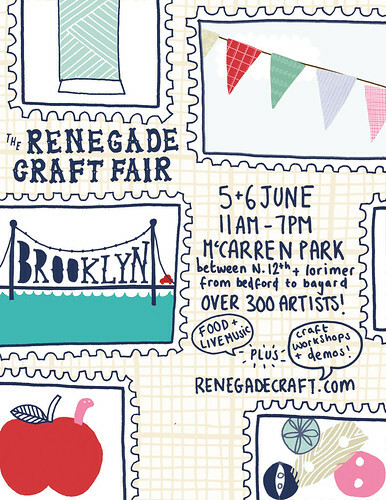 With over 300 artists coming together in historic McCarren Park in Brooklyn to sell our handmade work, this year’s Renegade Craft promises to be as amazing as ever, if not more so. There will live music and live craft demonstrations, as well as an hourly raffle of goodies at the Etsy booth too. AND! Renegade Craft Fair is wide open to the public and 100 % FREE to attend too. I’m going to have tons of new prints and posters, as well as lots of other new goodies too, from tshirts to tote bags and more. So come say hi! Why: For cream of the crop handmade awesomeness. * About Renegade: In the summer of 2007, Renegade opened the doors to a cute little storefront shop in the Wicker Park neighborhood of Chicago, IL called Renegade Handmade. Located on 1924 W. Division St. in Chicago, Renegade Handmade sells the work of Renegade crafters year ’round. They carry the work of over 400 independent artists from around the globe, many of whom participate in our fairs. When in Chicago, visit the brick + mortar or online at RenegadeHandmade.com. This entry was posted in Cool stuff, Craft Shows, News & Events, Poster & Craft Shows, Stuff I Like and tagged brooklyn ny, cool stuff, cool things to do in brooklyn, craft fairs, craft shows, DIY, indie art, indie craft show, indie crafts, june in brooklyn, june in new york, McCarren Park, renegade, renegade craft fair, renegade craft fiar brooklyn, renegade handmade, renegade nyc, strawberryluna by strawberryluna. Bookmark the permalink.